Times change and technologies update — both in our lives and our labs. Equipment that was once the cream of the crop has reached the end of its useful life; or it has been deemed useless by something newer, shiny, and more efficient. Perhaps there are new requirements, new methods, or new funding available. Regardless, something has changed and there you sit with ‘old’ pieces of equipment. They are almost out of service and taking up valuable space in your laboratory. Should you trade them? Sell them? Let them collect dust? What can be done with this unwanted laboratory equipment or furniture? This can be viewed as a problem; or as an opportunity. The problem of having unwanted or unused laboratory equipment is that it can be a stressor for laboratory professionals. The equipment takes up space, it costs money to remove it, it costs money to discard it, and it even costs money to recycle it. But with problems such as this, there are opportunities. In all likelihood, whether your equipment is redundant or nearing the end of its useful life, it will have some value. So what can be done to leverage the value left in your unwanted equipment? Perhaps value that can better your laboratory and generate money for your equipment fund? For those in large laboratories, schools, companies, or hospitals, it may be possible that an internal contact is looking for your exact item. Advertising your equipment internally will lead to an easy transaction of dealing with someone familiar. This will allow someone near to you to benefit and minimize the need to take extra steps to disburse the equipment outside of your organization. This is normally simple, will not require major shipping needs, and will lead to a secure transaction. Some equipment, not all, may be desirable for individual use. And desired by individuals that may just be down the hallway from you. Take a microscope, for example. Often scientists like to have their own equipment. A staff member that previously used an aging microscope in the lab may want to purchase it for personal use. Be sure to follow all procedures for decontamination when equipment leaves the property. And it may be prudent to have a disclaimer for the buyer to sign. Every organization is different so check and make sure that all procedures for disbursing equipment are followed. Often, the most profitable method of selling equipment is to a third-party buyer outside of your organization. This market is more competitive lending itself to additional buyers, but venturing into it will create a little extra work. Whether you find an auction site or a specific buyer, advertising your equipment, arranging terms of payment, and negotiating shipping will come along with the territory. There are many established companies who buy used or unwanted laboratory equipment. These companies have been doing it for years and have the process streamlined. By providing them a few details (e.g. make, model, age, accessories, functionality, etc.) and digital photos, a quote can often be provided electronically. It may be necessary for prospective buyers to inspect equipment prior to an offer. But most companies will make an offer without inspection as they have substantial experience in assessing laboratory equipment. National Laboratory Sales is interested in purchasing unwanted laboratory furniture! 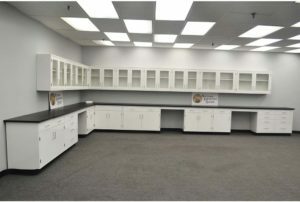 Whether your laboratory is going through changes; or if you are ready for a new look, they are interested in helping you get rid of your unwanted furniture. Call them at 815-670-6400 so they can help convert the problem of unwanted furniture into an opportunity, and maybe even generate extra funds for your lab. How to Choose the Right Fume Hood Blower?